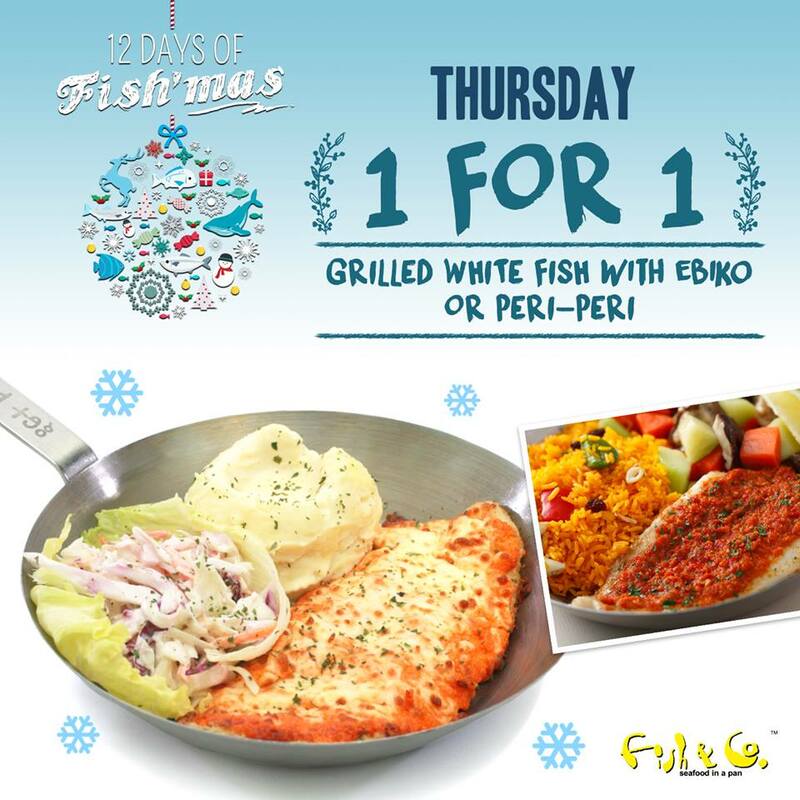 Enjoy 1-for-1, 50 % Off and other offer when you dine at Fish & Co this festive season! 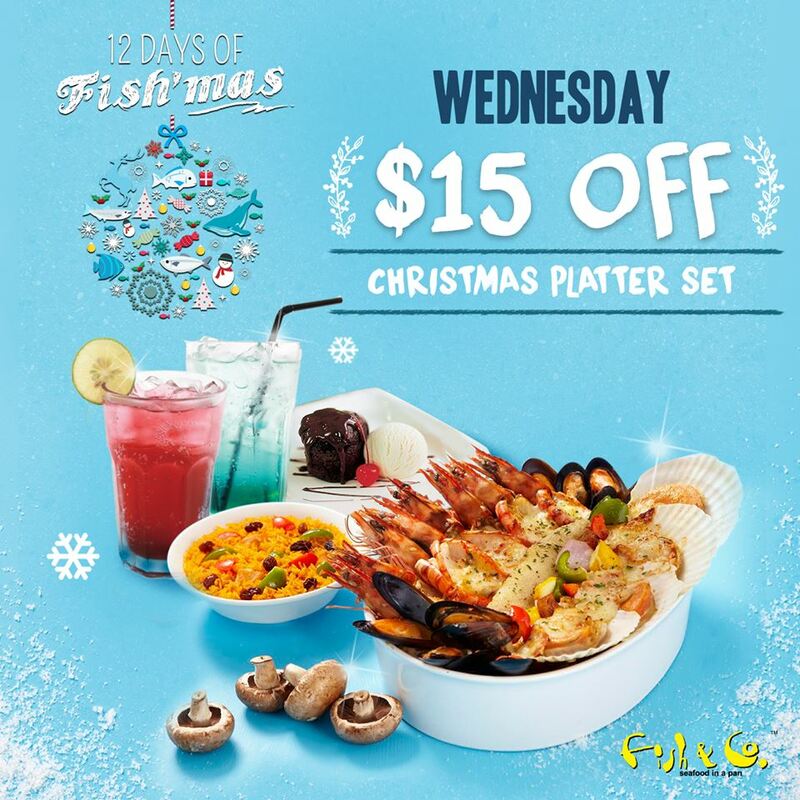 Simply flash the following coupon deals at participating Fish & Co’s outlets in Singapore. • All Singapore outlets except Paragon, Airport T2, Ang Mo Kio and Vivo outlets. Each coupon is valid on specified day, till 17 Dec 2015. Check them out below. Share these awesome offers with your family members and friends! • Valid for dine-in on the stated respective days only . • Only 1 post is redeemable per table per bill. No combination of multiple posts. 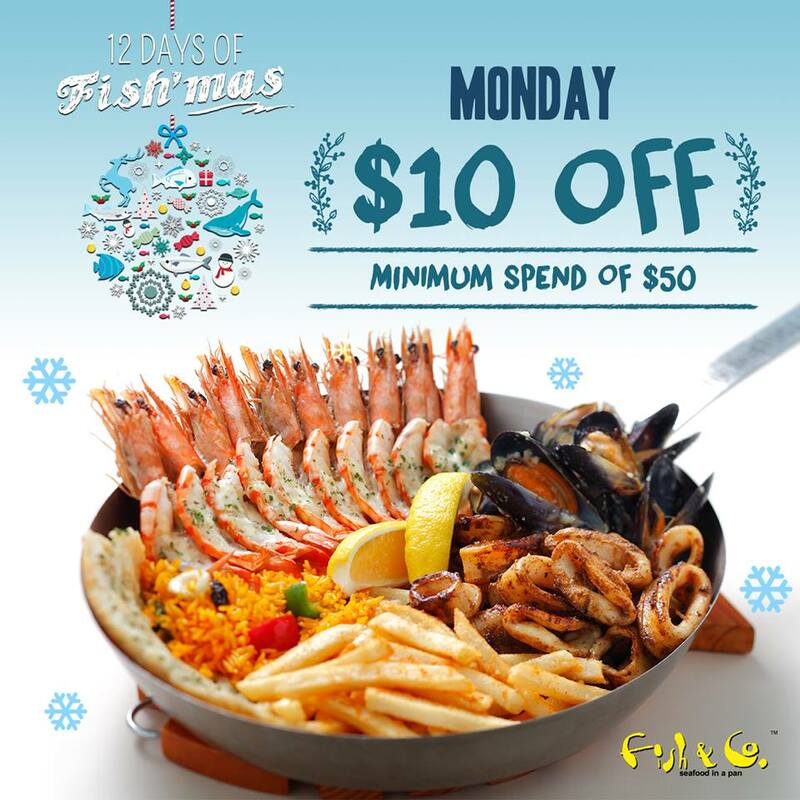 • Valid at all Fish & Co. outlets except Paragon, Changi Airport Terminal 2, Vivo City & Ang Mo Kio outlets. 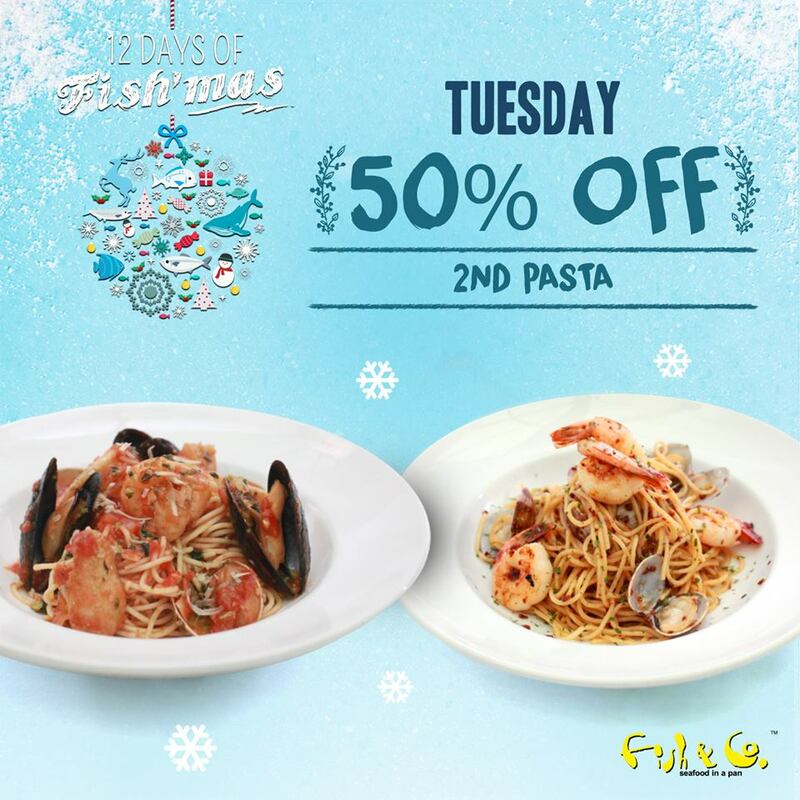 • 50% Off 2nd Pasta promotion is not valid with items under the 500 club. • Fish & Co. Members are allowed to enjoy their usual perks. • Not valid with ongoing promotions, discounts, vouchers and/or privileges unless stated otherwise. • Prices are subject to prevailing government taxes and service charge. • Management reserves the right to amend the terms & conditions at any time without prior notice.